Maybe once a year, a prize fight comes around to let the world know boxing is still an immensely popular sport. 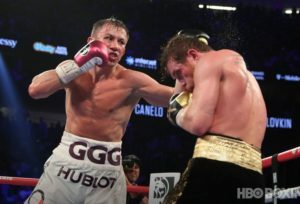 Last weekend, that fight came around as Mexican boxer Canelo Álvarez took on Gennady Golovkin II, otherwise known as Triple G, in a rematch fight in Las Vegas. Though the first match ended in a split draw and Álvarez won by decision on Sept. 15, Triple G is winning outside of the ring in terms of his jewelry collection. When Hublot entered into an agreement with the World Boxing Council in 2012, the company’s CEO Ricardo Guadalupe noted how excited he was to see Golovkin wear the Hublot colors — he wore the Hublot name on his shorts during a fight once and is the watchmaker’s brand ambassador. 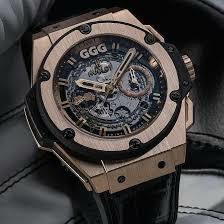 Under the partnership with GGG, Hublot released three special watches. 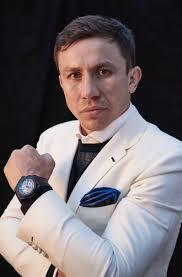 The first is the King Power UNICO Special Edition Gennady Golovkin. The watch has a power reserve for 72 hours, a black ceramic case and bezel and sapphire case back adorned with three golden G letters and his signature. GGG’s initials are set at 12 o’clock, while GGG’s logo of two gloves hitting is set at 9 o’clock. The second watch features a lot of gold with GGG set at 12 and the gloves logo at 9. Only 25 of these were released. The third edition has 248 diamonds for a total of 1,97 carats. GGG isn’t the only boxer to venture into the watch industry. 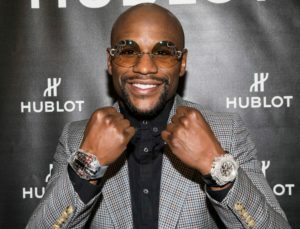 Boxer Floyd Mayweather, who’s a perfect 50-0 in the ring, is also an Hublot man, having once been sponsored by the watchmaker and boasting an impressive collection of watches valuing into the millions. Conor McGregor, the foul-mouthed mixed martial art fighter, is a champion in the UFC octagon and in the fashion industry. 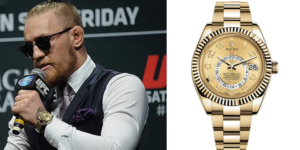 McGregor often posts photos of his watch collection on his Instagram page and has at times shown off his yellow gold Rolex Yacht Master. That watch is valued at more than $30,000. Anthony Joshua, a hulking British heavyweight with a 22-0 record (with an impressive 21 victories coming by knockout), is sponsored by Audemars Piguet and wore a yet-to-be-released AP Royal Oak Offshore “camouflage” watch to a press conference before his fight in March. That watch hit the retail market in the summer and carries a price tag of $31,000. Do you have an article on the Bulova astronaut watch? I have the modern version and the re-issue. Great article Mark. I am no expert, but I thought GGG won the close fight. guess i need to get in the fight business if you can afford that kind of money on a watch? I agree nice article! Very interesting that sporting figures are great with watches. Keep up the good stories. Only sport I know of where concussions are encouraged? What a mixed message to our youth. Just my thoughts. I just watched the fight last night great fight, tough call for the judges. How about the $18 million 280-carat diamond watch called ‘The Billionaire’ that was recently purchased by Floyd Mayweather.